Fantastic Wonder is a series of Fantasy related posts where I discuss different aspects of the genre and the many tropes and plot lines associated with it. Today, I talk about a Harry Potter lore book, A Journey Through A History of Magic. So today, I figured we’d do something different and discuss a lore book that recently came out. Sometimes when big lore books on major franchises come out, I’ll talk about them. I love these kinds of books, ever since Hyrule Historia. I’ve grabbed as many as I could over the years and since this is a blog on fantasy and science fiction, I’ll discuss a book based on one of the most iconic franchises in the genre: Harry Potter. We all know the tale. A young boy living with his evil uncle and aunt is given a chance to go to a school to practice magic. It was every kid’s dream. It’s had many adaptations over the years and a series based on another side series, Fantastic Beasts. This book focuses on the lessons taught at Hogwarts and in addition to the history that couldn’t be told in books, it also has amazing art. So let’s take a look inside. What is A Journey Through The History of Magic? This book is a history book as well as an art book. It focuses on the many subjects taught at Hogwarts and has an inside look at the creation of the series and the many notes J.K. Rowling made. Subjects such as Herbology, Potions, Astronomy, Charms, anything that was featured in the books and movies. It goes pretty in depth too, focusing on art and creatures related to the subject and contains interesting facts that provide a good educational tool for older and younger readers alike. It even has activities the younger ones can do as well. Some of them are pretty cool and capture the magical feel Harry Potter is known for. For example, kids can try out a banana that’s pre-cut before the peel is even opened. Some of these I would have loved to try when I was a kid. It also contains facts related to certain subjects. For example, did you know plants move on their own? We don’t see it because they move so slowly that we don’t notice it. Some plants, like the Venus Fly-trap, are quicker. Also, it has history lessons on how the mythological beasts were first known, and where their names came from. And there are many known mythical beasts. Dragons, hippogriffs, mandrakes (a female is called a womandrake, apparently), gnomes (and not the lawn kind), and trolls. 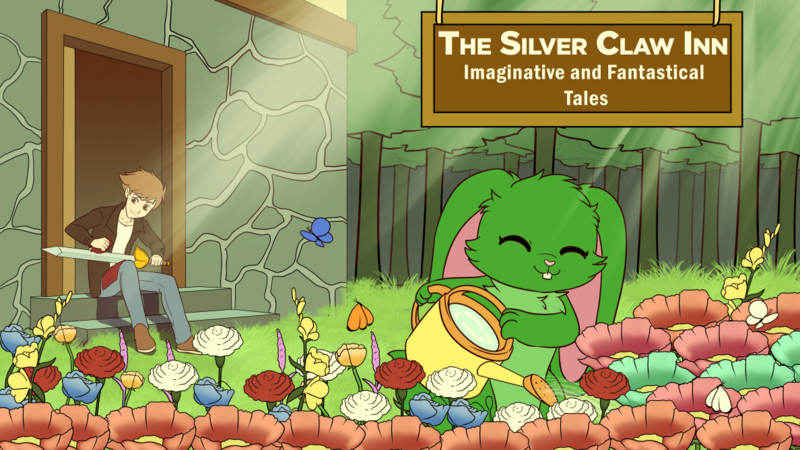 The series is known for drawing upon all sorts of mythology and creatures that add to the mystical wonder a kid can have. This book gives a deeper look into the world of Hogwarts and invokes the magic I had when I was a kid. From educational facts to fun activities, this is a book for fans, young and old. In addition to the facts and fun activities, it gives a closer look at the creation of the series using various sources. We have a synopsis, an edited draft, a letter from a publisher’s daughter saying she loved the book, and so much more. It’s a sneak peek that we don’t usually see that often and for any fan, it’s worth owning for this reason. I love behind the scenes stuff, especially for works like this. Reading the synopsis, it explains the story in detail and provides a wonderful, whimsical look into the series from a publisher’s perspective. There’s even artwork Mrs. Rowling made that shows what the world and the characters looked like (including a few that never made it into the final draft). This deeper look into how to series was made is worth it since it’s not something That’s talked about often. Of course, this is for all intents and purposes and art book. The art is whimsical and captures the original style of the Harry Potter books back when it came out in the early 90s. Many of the full page art of characters like Dumbledore and Professor McGonagall bear a strong resemblance to their movie counterparts (though I wouldn’t be surprised if the movie had some influence on these designs). While showing them would pose some slight issues since I’d have to scan them in, I’ll suggest picking them up yourself to see what I’m talking about. As a Harry Potter fan myself, I enjoyed this book throughout. It provides a deep look into the history of the series and the same kind of magic and mythology I look for in a fantasy series. If you’re a Harry Potter fan, I’d strongly suggest picking it up. If you’re a fan of art books and lore books as well, I’d suggest it as well. I love these kinds of books. I’m getting another one on Warcraft that I might talk about at some point, but we’ll see. Posted on January 30, 2018 January 30, 2018 by Steven CapobiancoPosted in Fantastic WonderTagged Fantasy, Fiction, Harry Potter, Harry Potter A Journey Through A History of Magic, J.K. Rowling, January, January 2018, lore book, Nostalgia.